If you live in an area that faces a high rate of rainfall like Calgary, it is essential to have a fully functional gutter system. Calgary residents have suffered a whopping 206.10 mm rainfall in July 2016. This amount of downpour can cause several problems for your eavestrough system if they are not entirely equipped to handle the onslaught of nature. The amount of rainfall in Calgary frequently exceeds the estimated value. 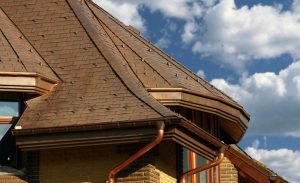 Therefore, property owners need to call for the services of an experienced Calgary eavestrough installation company before the rain causes damage and distress for property owners. Most property owners rarely check and repair their gutter system until it's too late. The realization hits when a faulty sewer system leads to roof damage which can create water leakage, which eventually creates the formation of mold and other similar problems. Not only does this compound your problem, but makes it harder on your wallet. Calgary eavestrough systems are complex and involve sections that an inexperienced individual might have trouble dealing with. You can end up making the situation worse and could cost you more money than planned. Hiring a reliable Calgary gutter repair company can save you time, money and ensure your peace of mind. 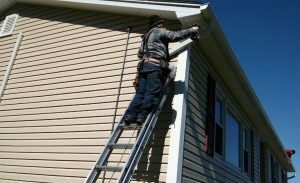 What are the benefits of hiring a professional Calgary gutter company? Try to remember the last time you checked your rain gutter system. Most property owners rarely check and repair their gutter system until it's too late. The realization hits when a faulty sewer system leads to roof damage, water leakage or formation of mold and other similar problems. Not only does it compound your problem, but also it is also harder on your wallet. You might be planning to grab your toolbox and ladder and getting to work on your waterlogged gutter on your own. However, most Calgary eavestrough systems are complex and involve sections that an inexperienced individual might have trouble dealing with. You can end up making the situation worse and even hurt yourself by slipping or falling off. We recommend availing the services of experts who are specifically trained to provide Calgary gutter repair services. Expert help will not only return your life to normalcy sooner, but it will also save your family from various diseases caused by molds and stagnant water. You will be surprised to know that the number one reason for leaky gutter in Calgary homes is incorrect Calgary eavestrough installation. Therefore, hiring a reliable Calgary gutter repair company can save you time, money and ensure your peace of mind. Hiring the right Calgary Eavestrough Installation company for your property? 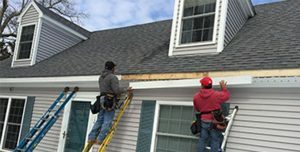 Whether it is for repairing an existing gutter system or installing an eavestrough system for the first time, you should hire someone who knows what they are doing. It is understandable that many homeowners face problems making up their minds. So, we have prepared a few tips that will help property owners to find the right people for the job. Primarily, you should do an initial research to check out your available options. The easiest way would be to search the internet for all the Eavestrough Installation and Repair companies near you. You can find the information on numerous installation companies on the web. Going through the website of a company, such as the current page you are reading, can give you much information that you can use to come to a decision. Many companies will claim to provide the best gutter installation service. You should use your judgment to decide which one is best for you. After you have prepared a list of the possible candidates for the job, you should check which installation companies provide a full eavestrough services. That means you should be looking for the firms that provide installation, maintenance, and repair services. 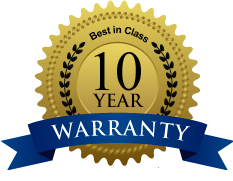 Not only will it ensure a greater peace of mind, but you will also be spared the trouble of going through the search process whenever the need for maintenance and repair arises. Instead, you will be able to trust a single company for all your eavestrough related needs. Alpine Eavestrough offers you a comprehensive range of services and helps you save time and money. 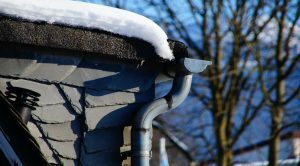 Furthermore, you will forge a long-lasting relationship with the company and know whom to call if the need for Calgary gutter repair ever arises. Property owners need to be entirely convinced of the capabilities of a company before they decide to employ it. The best way to convince prospective customers is to prove that the firm has a great market reputation and has a satisfied client base. Therefore, a well-reputed company will not hesitate to provide customer references to you if you ask for it. Whether you decide to contact the references or not, the fact that the company is confident enough to provide a list of satisfied customers would help you to trust their services a lot more. Of course, you can find out and see the handiwork of the company by visiting and consulting with the contacts provided by the firm. 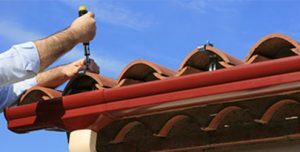 One of the most crucial factors that influence the decision of a customer seeking Calgary gutter repair is the price for the services. One common rookie mistake made by property owners is making the final choice depending on the lowest price. Some of them jump at the first ridiculously cheap quote they receive from a company. While cost cutting should be at the forefront of your thoughts, you should also remember that you get the service you pay for. If an offer seems too good to be true, it usually is. Many unscrupulous businesses cut corners and use inferior materials to attract cost-conscious customers. While this might seem to be a good idea, you will face serious Calgary eavestrough problems in the long run. It is better to request a quote from a few companies and compare the offers. A customer must also consider the quality of service and the prices provided by the competitors. Alpine Eavestrough combines the best of these criteria to fit the requirements and budgets of its customers. Why is Alpine Eavestrough your best bet for Calgary Eavestrough Installation? Alpine Eavestrough has a long history of operating in the Calgary area. The dedicated, highly trained workforce of the firm is composed of passionate workers who take their jobs very seriously. Only the best are allowed to work for the company to ensure that the customers enjoy a highly professional team working their magic. Alpine Eavestrough also maintains the industry standards during Calgary Eavestrough Installation and Repairs. Only the best quality materials and techniques are used. Furthermore, the service is insured and licensed for your peace of mind. If your home needs Calgary Eavestrough installation, maintenance or repair, feel free to contact us at Alpine Eavestrough. Get the best returns on your investment and say goodbye to waterlogged gutters forever. Eavestroughs and Gutters are one of the things that people don’t think about at all or often overlook, but the outcome of not having them or not maintaining them can mean massive water damage. The purpose of gutters is to collect rainwater off of roofs and direct it away from the foundation of a structure. Alpine Eavestrough has an experienced team that works hard to ensure that your home or building is well protected. If your gutters are detaching from the structure, leaking, not draining water away, blocked, or non-existent, call in one of our experts to assess the situation and provide a workable solution to protect your investment. Alpine Eavestrough is happy to inspect gutters year-round to ensure efficient drainage away from your home or building. We can fix issues with gutters quickly and cost-effectively and also install gutter protectors to prevent the same issues from reoccurring.